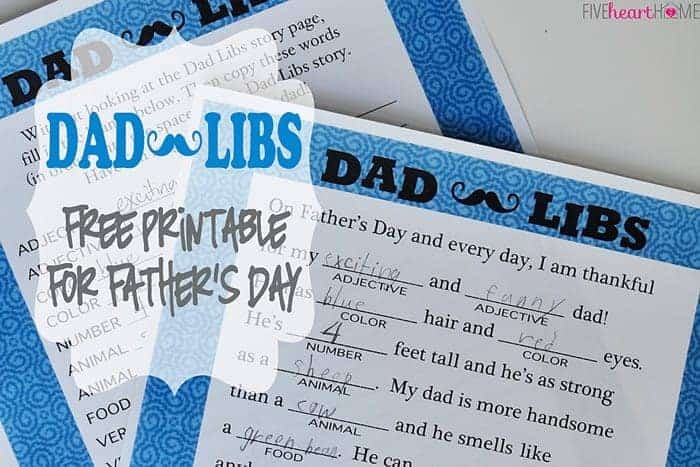 Home » Free Printables » Dad Libs ~ A Free Printable to Celebrate Father’s Day! 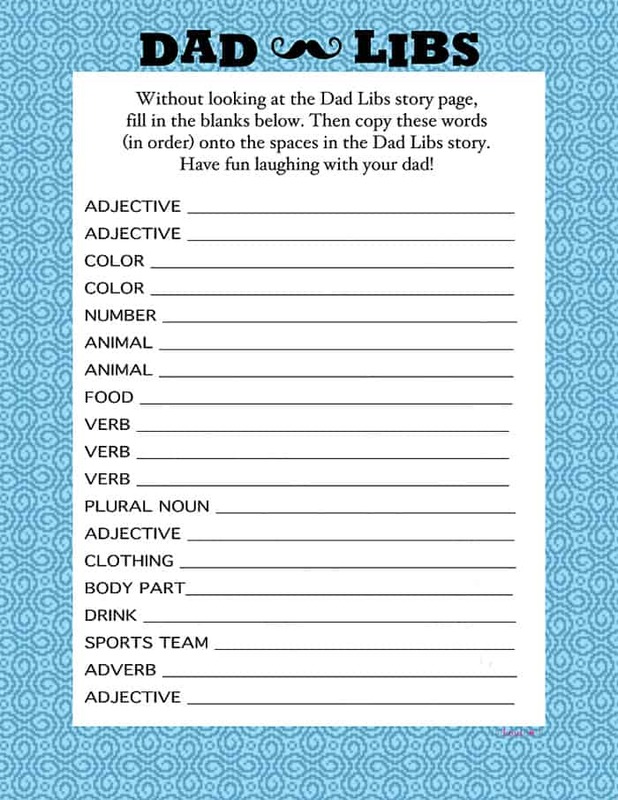 The countdown to Father’s Day is on, and if you’re looking for a last-minute gift of love and comedy, look no further than this free Dad Libs printable! Growing up in the 80s, Mad Libs were a childhood staple of mine. Of course, keep in mind that this is coming from a girl who got a thrill out of diagramming sentences in middle school. Regardless of your fondness of or repulsion for parts of speech, the concept of Mad Libs is always a fun one. Fill out a list of key words and then copy those words into the blanks of a paragraph to create a story that ends up being silly and nonsensical. What better way to celebrate Dad?! 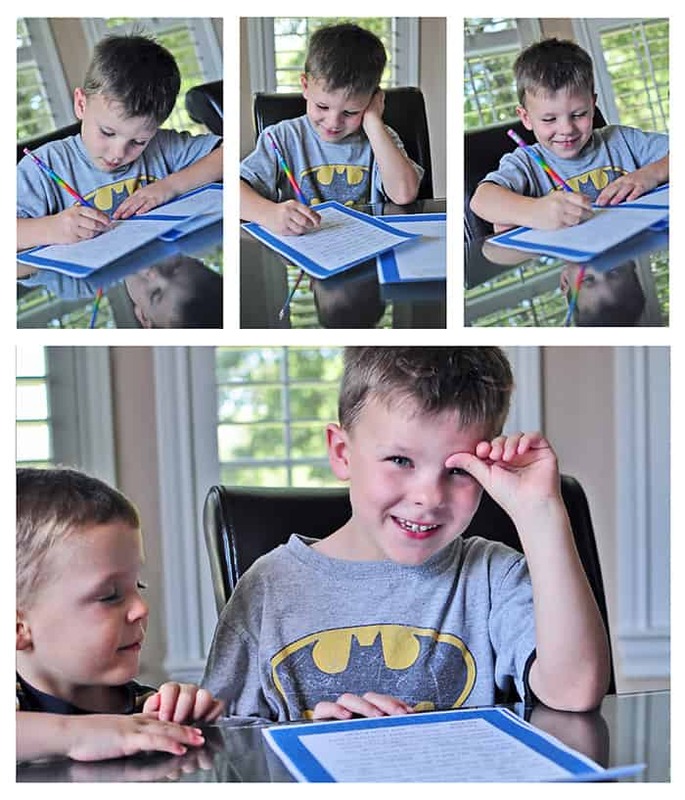 I hope you’ll use this printable to light up your Father’s Day with laughter as well! The final result is funny and heartwarming, and I have no doubt that the special dad in your life will think it’s great, just like he is. This post is linked to the following parties: Time to Sparkle #13 at Inside BruCrew Life, Terrific Tuesdays #67 at Adventures of a DIY Mom, Lil Luna Link Party 131, and Live Laugh Linky #65 at Live Laugh Rowe. I hope you all have fun with it, Laura! Thanks so much for the comment!